Savor delectable South East Asian Cuisine at Circles Cafe at the Makati Shangri-La from August 8-24, 2014. The buffet spread is available for lunch and dinner. Selected dishes from ASEAN Culinary Delights, a cookbook by the ASEAN Ladies Foundation is also highlighted in the special buffet. who organize charity and outreach programs to help enrich lives of those in need. 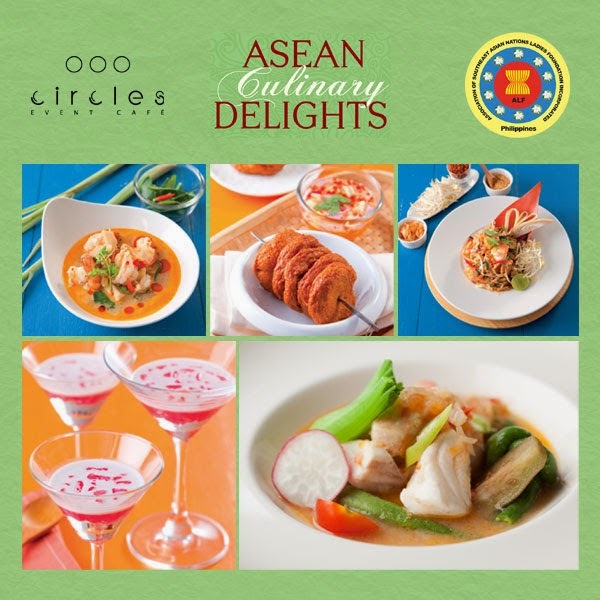 ASEAN Culinary Delights cookbook will be available for sale at Circles Event Cafe. in Central Visayas to meet their medical and educational needs.